Wizz Air Skopje Marathon is the most famous running event held in May in Skopje. The first marathon race in Skopje was organized in 1997 but only lasted for that year. After a break of nine years, in 2007, the event was revived with a half marathon-only, and then fully restored in 2008, when three races were run: marathon, half marathon, and a 5K humanitarian race. The Skopje Marathon is the member of AIMS and is attracting more and more runners. In 2014 promoter of Skopje Marathon was Wilson Kipsang from Kenya, at that time world record holder in the marathon. In 2017 our promoter was triplets Luik from Estonia. In 2018 our promoter was Paula Radcliffe, she held the Women’s World Record time of 2:15:25 for the marathon since 2003. We suggest you spend a few extra days in Skopje, to discover the amazing nature surrounding the city, for example, “lake Matka”, and the tourist attractions, restaurants, and bars. The friendly Skopje Marathon will be a memory of a lifetime. Before the start and after the event you have access to the changing facilities which are near the start area. First aid will be available in two places along the course, and throughout the course doctors in cars will follow behind the race. There will also be doctors in the finish area. There is equipment storage in tents in park in start area. There will be eight (8) refreshment stations with water and lemon along the course. 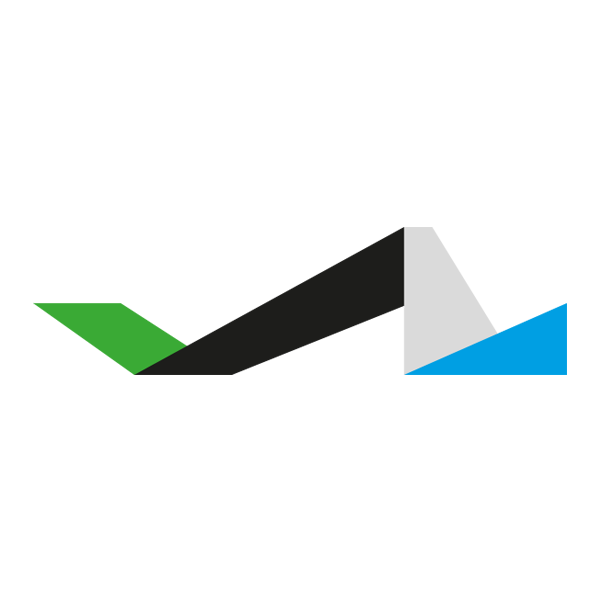 Chip timing available and live result. 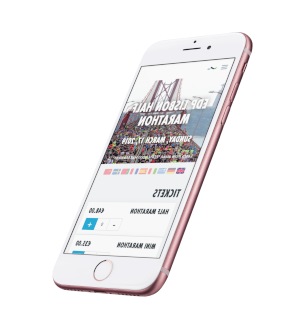 There is an Android and IOS mobile application for tracking runners during the race. Every run kilometer of the race, passing through each part of the city and each neighborhood is a testimony of Skopje’s creation and growth. It all ends with a symbolic and victorious entry through the triumphal arch “Gate Macedonia”. 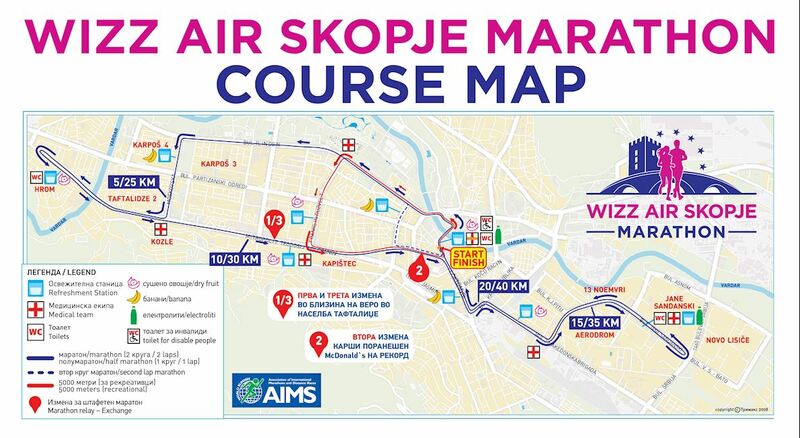 The Wizz Air Skopje Marathon begins from in front of the famous Macedonia Square, on Dimitrya Chupovski. It heads along old Stone Bridge and onto Boulevard Ilinden. The route then turns to the left and heads towards Mitropolit Teodosij Gologanov, where it heads back towards the start-finish line. Marathon-runners, however, go past the start-finish line and head towards Boulevard Jane Sandanski, before turning around and heading to the start-finish line to complete one lap of the circuit. The entire race-circuit is about 21.1km, which means that athletes need to take two-laps of the circuit to complete the marathon course. The Wizz Air Skopje Marathon became one of the biggest sporting events in Republic of Macedonia in 2018 as more than 10.000 runners from more than 58 countries attended. The event draws international athletes and the mission of the race organizer is to develop healthier habits amongst the youth in Macedonia. The promoter in 2018 was Paula Radcliffe, actual women’s record holder in marathon.